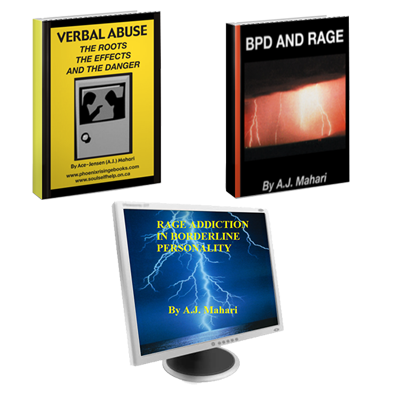 Verbal Abuse Ebook – BPD and Rage Ebook and Rage Addiction in BPD Audio Program Bundle. Borderline Personality Disorder and Rage – Storms in the absence of a known self features 115 pages of insightful must read information, about Borderline Personality Disorder and Rage and includes a chapter that deals with rage turned inwardly which is often the core of self harm. 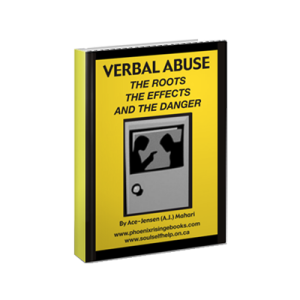 This ebook consists of 7 chapters – 114 pages of detailed examination, understanding, and explanation of Borderline Rage from the insightful perspective of one who has been there. A.J. 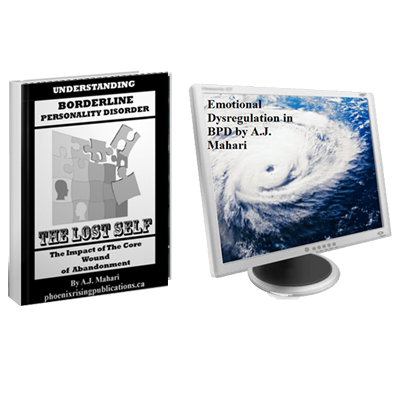 provides a roadmap of hope and practical steps to help the borderline stop the rage and/or stop the self harm and heal the wounds, and transform his/her life. 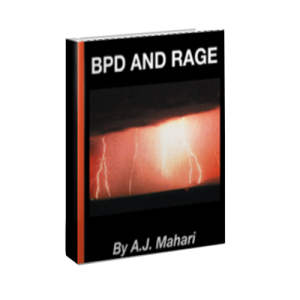 When one understands why he/she rages, what drives the rage experienced, acted upon, and inflicted upon self and/or others, in those diagnosed with Borderline Personality Disorder real change and recovery can begin. It is only with this insight and understanding that those with Borderline Personality Disorder can put an end to borderline rage. Borderline rage that has served as a protection against abandonment pain and abandonment trauma, or as Mahari calls it, the core wound of abandonment that houses your pain. It is the connecting to and learning to express this pain in healthy ways that is at the heart of addressing the habitual and often compulsively impulsive rage chosen unconsciously. Those with BPD can become more conscious of the roots of their rage and learn to make new and much more effective and healthy choices that will put them on the road to recovery from BPD. There is hope for change and for recovery. A.J. Mahari, who is now 53 years old, has been there and recovered, 15 years ago, from BPD and her 35 years of rage. From her own experience through recovery A.J. 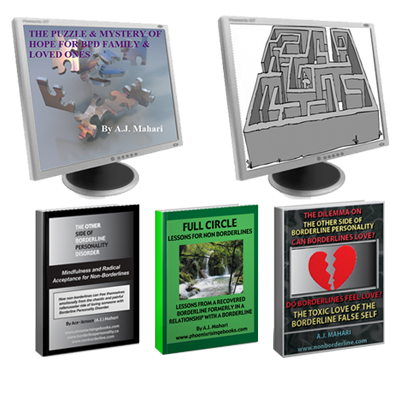 outlines and explains the 10 Keys and the 5 major Roadblocks to ending Borderline Rage. Those diagnosed with BPD, in a relationship (friend, family member, significant other, ex-partner) with someone with BPD, as well as any professional treating someone with BPD will benefit from the insight A.J. 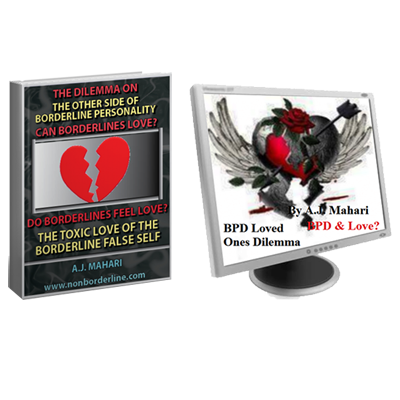 Mahari shares based upon her own recovery from BPD. 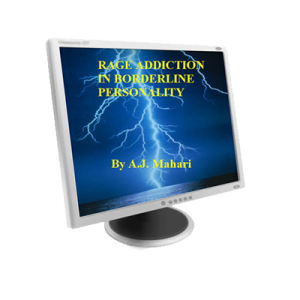 Rage Addiction in Borderline Personality Disorder examines the reality that rage often becomes an addiction for those with BPD. Mahari describes in detail the anatomy of rage addiction in Borderline Personality Disorder and explains how it is all about choice. Track 5: 88 Minutes What I Learned From My Own Rage Addiction and The Choice That Needs to be Made In Order to Create the Possibility for Recovery.